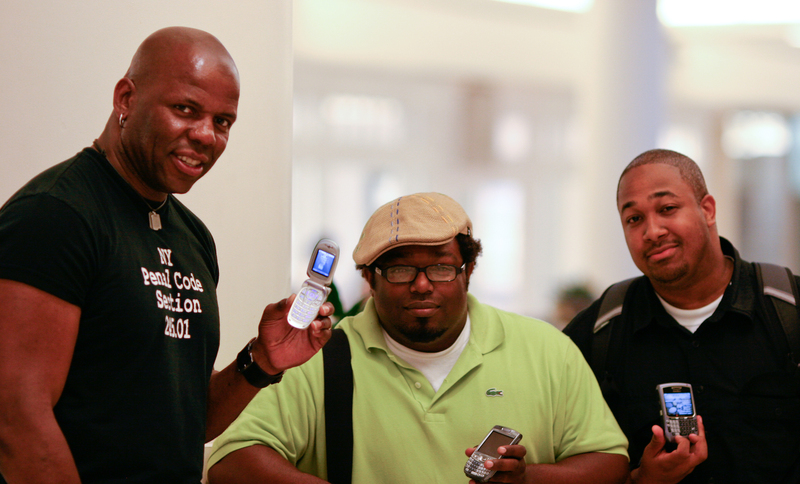 Chris, Steve and Eddie show off their old mobiles outside the Apple Store at Montgomery Mall in Bethesda, Md. The men arrived about 10 a.m. this morning, which put just 20 people in front of them. I interviewed them for an eWEEK podcast.